Sean Parrell has been working in the plumbing industry since the 1980s. Specializing in Accounting and Marketing through his degree (B. Comm) at Memorial University, Sean became a Master Plumber at the age of 21, one of the youngest to have achieved that status. Looking up to his father (who had his own plumbing business), Sean started Avalon Plumbing in July 1994. Having grown up around the plumbing industry, Sean resolved that his company, like his father’s, would be focused on offering customers superior service at reasonable prices. You can be assured that your Avalon plumber will take the time to properly diagnose and explain the source of your plumbing problems. They will give you knowledgeable and affordable options and solutions. 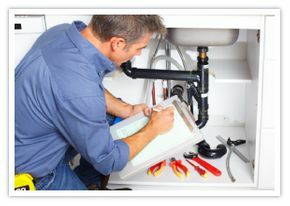 This is an honest and positive approach that Avalon Plumbing's many repeat customers value in our service. Sean is very hands-on in the business and works with customers directly. As a happily married man for 20 years with three children, Sean looks forward to helping your family and your home.